Having a new baby is so expensive which is why most new parents are usually looking for ways to save money on a baby. It may sound far fetched, but one of the best ways to do that is by learning how to get free samples for babies. Free baby samples are a fantastic way to not only save money, but to try a new product you may not otherwise try. You never know, you may fall in love with that product and use it for you baby’s entire infant years! That certainly happened with me and my daughter when she was a tiny one! I read an article the other day that said it takes at least $277,000 over 18-years to raise a child to adulthood. With that kind of dollar amount, what could be better than getting an early start? Requesting all the free baby samples you can is only one way to prepare for a baby on a budget. It may not seem as if it would, but requesting free samples for babies can save you more money than you might expect. Hint: they won’t save every family money. You’ll also want to make sure that you don’t overbuy items for your baby since doing so can cause you major overspending. When you’re buying the items you need for your new baby, keep these 10 items you really need for baby in mind so that you don’t overspend. When you do everything you can to save money; including finding free baby samples by mail, you will give both your budget and your growing family a head start. This list of free baby products will help you get everything from free diapers to free baby clothes. There will always be something you want or need for your little one that isn’t able to be just ordered for free. Luckily, there are a few different ways you can still get those items without paying a dime out of pocket! If you’re not already a member, it is worth your time to sign up for a Swagbucks account HERE. Once you do, you will be able to earn points you can exchange for free gift cards to get free baby products. Points are easy to earn by searching, taking real surveys, printing coupons and more. While Swagbucks is amazing for earning freebies for yourself, they don’t offer gift cards for every place you may want. To make sure you can score everything you want free, take the time to sign up for an InstaGC account HERE too. With InstaGC, you can complete offers, take surveys, watch videos and more to earn points. Those points can be traded in for hundreds of gift cards or Paypal cash that are all paid instantly! This list that shows you how to get free samples for babies is updated about once a month. We make every effort to keep the samples listed current, however, if you find one that is expired, would you please leave a comment and let me know? We add to them as we find new ones. Also, some of the pregnancy freebies and baby freebies below may require a shipping charge. We have made ever effort to let you know when shipping is required. 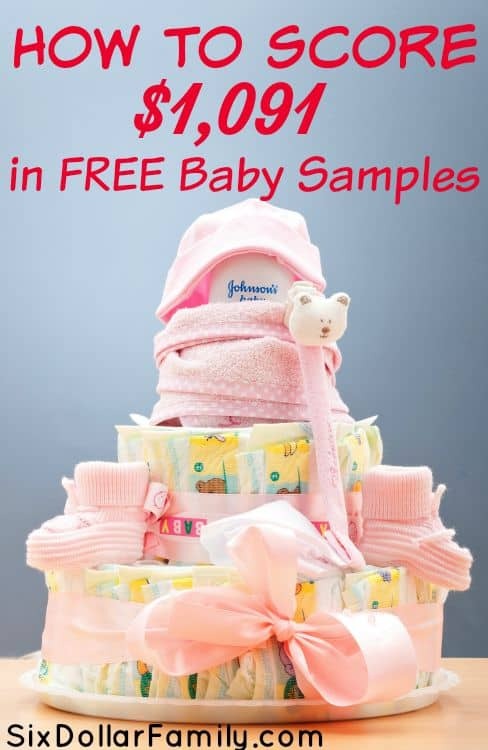 Even though we try to categorize as many of these free baby samples as possible, sometimes you just run across a few that don’t really fit anywhere. You’ll find those below. If you’re looking to shop Amazon for baby items, having Prime is a must have! Aside from the free 2-day shipping, there are quite a few more benefits to Amazon Prime that make it worth it. You can sign up for the Amazon Prime free trial HERE if you’ve never done the trial before. It gives you a full 30-days to test whether you want to continue with it. No matter what your political views are, having your baby’s birth acknowledged by The White House would be cool. Send your request after your baby’s birth and you’ll receive an official congratulations letter back. US Congressman Dwight Evans has information on how to submit right HERE on his website. Grove Collaborative is a fantastic site for buying all natural and organic products, including baby products. They carry everything from diapers to essential oils for babies. While this isn’t technically a free baby sample, it is a freebie new moms will appreciate! Head over HERE and sign up for a Grove account and when you use THIS link, you’ll score a FREE 5 piece Natural Cleaning set from Mrs. Meyers. This is sure to help when you’re trying to prepare your home for when baby arrives! If you or your baby has dry skin, head over HERE and request your FREE Mutsela skin care sample. It works for both Mom’s and babies! When you’re buying all that baby gear, why not get paid for it? Sign up for an Ebates account and you can do just that! Ebates has a special relationship with thousands of stores and when you shop through Ebates, they earn a small commission. Ebates then turns around and pays you a portion of that commission back as cashback. Plus, when you sign up for Ebates using THIS link, you’ll earn $10.00 FREE on your first purchase of $25.00 or more! Not only is Amazon Prime invaluable to helping you save money since there are so many ways to save money with Amazon Prime, but for new moms, Amazon Family can be just as important. When you sign up for 30-days of Amazon Family HERE for free, you’ll save 20% off diapers and wipes, receive exclusive baby coupons and more. Free Birthday Phone call from Nick Jr. Does your little one love Nick Jr. shows? What baby or toddler doesn’t? Why not head over HERE and schedule them a birthday call from a Nick Jr character for FREE? You can choose from Dora, Spongebob, Bubble Guppies, Blaze and SO many more! Help keep your baby warm when cold weather hits or dry on rainy days by requesting your free car seat cover. They have both boy and girl designs. These are fantastic for any kind of weather where your baby may be uncomfortable; especially if you live in a cold climate. Shipping does apply, however the product itself is 100% free once you follow the steps below. Head HERE and choose your free carseat cover. Head to checkout and use our exclusive coupon code 6DollarFam to reduce the price by $50.00 making it free. When my Emma was a baby, she would wonder around my house looking for her “bee bee.” If your baby is a binkie baby, or you’re just trying to get prepared for your baby’s arrival, grab these two free pacifiers. You can choose from designs already made or even design your own! Shipping does apply, however the product itself is 100% free once you follow the steps below. Head to checkout and use our exclusive coupon code 6DollarFam to reduce the price by $35.00 making it free. If you are considering banking your baby’s cord blood, head over HERE to request your FREE cord blood banking comparison chart. It also comes with a $600 coupon. If you are formula feeding your baby, you’ll learn quickly that formula is super expensive. Head HERE and sign up for Similac Strong Moms and you’ll receive up to $400 in baby samples! These free formula samples for babies almost always come with at least one can for formula and very high dollar coupons. Sign up for Enfamil Family Beginnings HERE and you’ll score a box of free Enfamil formula, high dollar coupons and more. I have personally received this and mine came with 2 cans of free formula. Not only will Enfamil send you free baby formula, but head HERE and you can request a FREE 10 oz sample of Enfagrow Toddler formula. A 10 oz can of formula mix goes a long way when you don’t have any other. This isn’t a freebie, but sometimes, the unthinkable happens and you simply run out of baby formula. If that has happened to you, my good friend Jenn over at Simple at Home has a wonderful post on what to do when you run out of formula and can’t afford to buy more. Natures One is offering a FREE full-size formula sample to new customers. There is a $5.00 shipping fee, but that is still a great “price” to pay for a full-size baby freebie. Request yours HERE. If you’re a sports fan, you’ll want to hop on this free baby sample! With our exclusive coupon code, you can score a FREE 3-piece sports team infant gift set! These are super nice! They have NCAA, NDL, NBA and MLB teams to choose from which makes it perfect for all sports fans! Shipping does apply, however the product itself is 100% free once you follow the steps below. Head HERE and choose your gift set. ThredUp is one of my favorite online consignment stores because of the huge selection they offer. They’re prices are great too! Even better is that you can score free baby clothes from ThredUp! To do so, head over HERE and sign up for a ThredUp account. You’ll get a FREE $10.00 credit to get you started. Use that credit to score free baby clothes! Shipping may apply depending on the amount of product you order. If your baby will be due during the colder months, you’ll want to check our how to get a FREE Eskimo Kids hat. Sizes range from 0-3 months to adult. These Eskimo Kids Hats are adorable and sure to help keep your baby’s head warm! Shipping does apply, however the product itself is 100% free once you follow the steps below. Head HERE and choose your free baby hat. Another free credit offer that can help you get FREE baby clothes! Head HERE and register for a Schoola account. You’ll score a free $10.00 credit to use on anything available on the site; including baby clothes. If you have never used one, having hooded towels on hand for your baby after bath time is a must. They make it super easy to keep your baby warm while you’re getting them dressed. One of my favorite free baby products are these super adorable free infant hooded towels. Shipping does apply, however the product itself is 100% free once you follow the steps below. Chubby baby legs look so cute in leggings so this may be one of my favorite baby samples on this list! You can score not one, but 5 FREE pair of leggings for your baby! They have both boy and girl designs to choose from too! Shipping does apply, however the product itself is 100% free once you follow the steps below. More free baby clothes is always a good thing! Even more fun is that you can choose from designs already printed or design your own! It doesn’t get more fun than your baby wearing a onesie you designed yourself! Shipping does apply, however the product itself is 100% free once you follow the steps below. Even though your baby won’t need shoes for a while, they are still cute for family photos and to help keep their little feet warm. Grab these two free pairs of baby shoes instead of paying a high cost for them. For what they are, baby shoes are super expensive so this baby freebie should be a pretty big help. Shipping does apply, however the product itself is 100% free once you follow the steps below. Head HERE and choose or design your free baby shoes. Head to checkout and use our exclusive coupon code 6DollarFam to reduce the price by $60.00 making it free. The Honest Company is an all-natural diaper company and you can score their Welcome Baby Kit FREE when you head over HERE! Shipping does apply and a free trial is required. If you’re not fully satisfied, you can cancel at any time very easily. Once you create your Honest account, if you are not offered the free welcome baby kit, you can still snag a free $10.00 credit by using coupon code INVITED10 at checkout. When my daughter was little, the only brand of diaper she could wear without an allergic reaction was Huggies. I wasn’t too up to speed on things such as cloth diapers back then. Thankfully, Huggies is amazing about diaper coupons and samples! Head over HERE and register for the Huggies website then earn points from submitting your receipt. Once you collect enough points, cash them in for free Huggies diapers. Diapers are so expensive so anytime you get the chance to request free diaper samples, you should do it. Sign up HERE as a Naty Ambassador and refer 3 friends and you’ll have to chance to earn free diapers, free trials and much more. Whether you use cloth diapers or disposable, these diaper covers look adorable! They’re great for family photos or for when you want your baby to be a little more “dressy” such as for church. They’re super fun too! You can choose between infant or toddler sizes and they have designs for both girls and boys. These are regularly $19.95 each, but you’ll be able to get 3 free! Shipping does apply, however the product itself is 100% free once you follow the steps below. Head HERE and choose your free ruffled diaper covers. This baby sample is zip code specific but if you’re within the correct zip code, you can score a free Earth Baby compostable diaper sample right HERE. Disposable diapers are not bio-degradable so these diapers that can be composted are a great idea! Head over HERE and sign up for Pampers Rewards to score free Pampers coupons and to join the Pampers Rewards program. If you collect the points that are found on diaper and wipe packages, you can earn tons of different free baby samples and freebies! Potty training is hard enough without adding on the expense. Head HERE and register for the Pull-Ups website to score free Pull-Ups samples when they offer them and Pull-Ups coupons that will help save you money. If you’re potty training an older child, head HERE to sign up for Goodnites coupons. They occasionally send free samples too. These are great for older kids that have an issue wetting the bed. Amazon also has a FREE baby registry that you can register for HERE. When you sign up for an Amazon Baby Registry, you’ll be able to enter the Amazon Baby Registry Sweepstakes. The prize for winning varies, but it is almost always an awesome prize! If you’ve never looked into cord blood banking, you may want to consider it. If you have researched it, you can enter to win FREE cord blood banking for life right HERE. The sweeps is weekly so be sure to enter as often as you can for better chances to win. Parents Magazine offers a free daily sweepstakes to win FREE baby gear. You could win anything from a diaper bag to a stroller and more. Head HERE to enter daily. What could be better than winning free diapers? Head HERE and register to enter to win FREE diapers for a year! This one sweepstakes win could save you thousands! I am not sure which brand of diapers you win or if you get to choose your own but it can’t hurt to enter. Create a baby registry HERE at BuyBuyBaby and you’ll score an instant 20% off coupon as well as a free goodie bag packed with free baby samples. Visit the Target website and create a Target Baby Registry for free baby coupons and a goodie bag full of baby samples. This often comes with over $60 in samples, coupons and free baby samples. Create your baby registry with Babylist HERE and you’ll also score a Free baby box stocked with free baby samples! Amazon is fantastic about free baby samples and the free welcome box from Amazon is just another way they can help you save money on your baby! We have already mentioned the Amazon Baby Registry, but I want to mention it again. When you create an Amazon Baby Registry HERE, not only will you be able to enter to win money for your baby items, but you’ll also be able to get the FREE Amazon Welcome Box. The box is valued at $35.00 in baby freebies! Walmart wants you to try all of the awesome brands they work with so they have put together a free baby sample box filled with baby freebies! There are several different boxes depending on the stage of your baby; from prenatal to toddler. 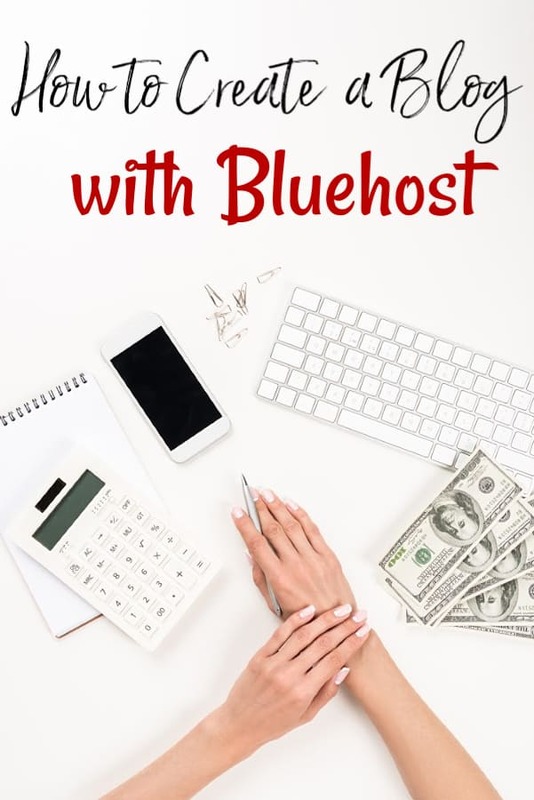 Each box is free to request HERE, but you will need to cover $5.00 each. You can request one box for each stage making it worth signing up for! Register for Baby Box Co’s baby courses HERE and you’ll be able to earn rewards for completing each course. These rewards are free baby boxes filled with free baby gear and free baby products. When you sign up, you’ll automatically earn a FREE safe sleep reward! Nursing your baby? If so, you may be looking for nursing covers. Why not pop over and grab a FREE nursing cover in the design of your choice? There are quite a few different designs to choose from so you’re sure to find one that fits your style. Shipping does apply, however the product itself is 100% free once you follow the steps below. Head HERE and choose your free nursing cover. If your insurance is giving you issues about getting a free breast pump, head HERE to find out how you can get a FREE breast pump and to get help with your insurance. They carry at least 3 different brands and they’re all free if your insurance qualifies you. Just fill out the form HERE to see if you qualify. Make keeping track of which breast you last nursed on with these FREE Nursing Reminder bands. You can choose from pastel or bold colors. Wear one on the last side you nursed and it’ll never be an issue again! Shipping does apply, however the product itself is 100% free once you follow the steps below. Head HERE and choose your free baby sling. Want to test a free breast pump? Head over HERE and fill out the form from the Parent Tested Parent Approved panel. You may get picked to test a free breast pump! Get comfortable while you’re nursing with a FREE nursing pillow. A nursing pillow gives you another way to support the baby while he or she latches on and gives your arm a rest from having to hold all of baby’s weight. Shipping does apply, however the product itself is 100% free once you follow the steps below. Head HERE and choose your free nursing pillow. Head to checkout and use our exclusive coupon code 6DollarFam to reduce the price by $40.00 making it free. There is nothing more embarrassing for a nursing mom to leak all over her shirt. Disposable nursing pads can get expensive pretty quickly. Instead, request these FREE nursing pads and save some cash. You can order 10 free pair in lots of different designs! Shipping does apply, however the product itself is 100% free once you follow the steps below. Head HERE and choose your free nursing pads. If you love to read to your baby, why not head HERE and grab 30-days of Kindle Unlimited for free? You’ll have access to thousands of books – both for you and baby – to read on your Kindle or other compatible devices. Once your 30-days is up, you can choose to cancel or continue for a monthly fee. Even better is that they offer prepaid plans after your trial which makes paying so much easier! I am a huge Dolly Parton fan for more than one reason, but this is one of the highest reasons. Inspired by the fact that her Daddy could not read or write, she wants every child to have access to books early in life. When you sign up for the Dolly Parton Imagination Library HERE, your kids will receive 1 free kids book each month from ages birth to about 5. This baby freebie is valid in the United States, United Kingdom, Canada, Australia and Republic of Ireland. More free baby books! Keep your baby entertained and foster a love of reading with these five FREE board books for babies. Board books are amazingly indestructible so they’re great for babies to learn with. Shipping does apply, however the product itself is 100% free once you follow the steps below. All babies and toddlers love bright colors and funny cartoon characters. ABC Mouse has figured out an amazing platform that will entertain your kiddo the way they want to be entertained but teach them as well. For those that want to give your baby a head start by signing up for a FREE 30-day trial to ABC Mouse using THIS link. Your baby and toddler will have access to learning videos and games to help give them an early start on their education. Free 30 Day Trial to Epic! Reading to your child from birth is a fantastic way to foster a life long love of books and reading. Epic! is a fantastic online library that lets you have unlimited access to books for kids from birth to age 12. Head over HERE and you can sign up for a free 30-day trial to Epic! so you have an unlimited supply of books to read! As your belly grows, you’ll find that the more support you can give it, the less your back hurts. A belly support band is a great way to find the support your baby belly needs. Luckily, you can grab 2 FREE Belly Bands to help give your belly the support it needs. Shipping does apply, however the product itself is 100% free once you follow the steps below. Head HERE and choose your free pregnancy support bands. Every new mom loves to update her baby’s baby book, but why would you spend money to buy one when you can download and print one for free? Head over HERE to download your FREE baby book pages then add to a decorated binder for a great DIY baby book. Carrying your baby is sometimes so much easier than pushing a bulky stroller. That’s why every pregnant woman should grab this freebie for new moms! Choose your design and you can score a FREE baby sling! These are usually pretty expensive so grabbing one free is a huge score! Shipping does apply, however the product itself is 100% free once you follow the steps below. Maternity clothes are a pretty big waste of money, but it won’t be long before your jeans no longer fit. This freebie for pregnant women can help! You can order 3 FREE jeans extenders for pregnant women to help you stretch your pre-pregnancy clothes a little farther. Shipping does apply, however the product itself is 100% free once you follow the steps below. Once your baby starts on solids, yogurt is a fantastic snack. Head HERE to request a free baby food coupon good for YoBaby yogurt. Diaper rash happens and when it does, you’ll want to make sure you can treat it quickly so your baby is comfortable. We have an amazing homemade diaper rash cream recipe HERE, but if you prefer store bought, you can score a $2.00 off coupon for Balmex HERE. Like the Huggies site, head over HERE and register for the Luvs website and get FREE Luvs coupons and samples. If you will be using jar baby food, you’ll want to use coupons to help cut the cost down. Register for the Gerber website HERE and you’ll score baby food coupons and more! Seventh Generation Baby Wipes and Diapers are expensive. Sign up for their rewards program HERE and you could earn coupons and freebies by completing tasks. Help keep your body and belly supported with a supportive pregnancy pillow. Regularly $99.95, you can grab yours for just $49.95 plus shipping. There are 6 different color choices and all are covered with a super soft minky material. Head HERE and choose your pregnancy pillow. Pay for shipping and finish checking out.